Welcome to Bandung. 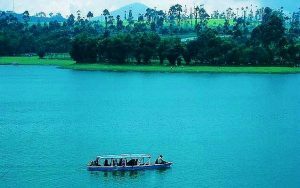 If you come to Bandung, don’t forget to visit tourism places. There so many place that you can visit, but first, you can explore in South Bandung. These are things to do in South Bandung. The location of this lake is situated at an altitude of 1600 meters with fence. The fence of this lake is from the tea gardens that make the atmosphere more serene. This beautiful lake has an area that is about 45,000 hectares. This place has beautiful scenery and fresh air. Moreover, its location close to other tourist areas that make Situ travel is always crowded with tourists, especially on weekends. Originally this lake is a nature reserve or national park. Then since 1981, Pehutani began to manage Situ to become a tourist area. Until now this place filled with interesting legends and myths that make this place always crowded by local and foreign tourists. This place has a beauty that is very attractive with many spots that are quite photogenic. You also have the opportunity to hire a boat to explore Situ Patengang. You also can visit the Love Stone. National day Rp 20500/ person. Parking for bus or truck Rp 22500. Parking for a motorcycle Rp3500 and Rp11.000 for a mobil. Every day 08.00 a.m. – 08.00 p.m.
Situ cileunca pangalengan is a tourist place in pangalengan Bandung very remarkable. The benefits of cileunca pangalengan are not only used as a clean water source and PLTA, this place also can be used as a rafting place. This is very challenging. Rafting activity in pangalengan cileunca is use the air from the Cileunca dam which is very pretty swift, that is also very challenging. In this place, you can also go to strawberries garden. You can take fresh strawberry straight from the plant. To get to the location of Strawberry Gardens, visitors must use the boat Rp.5000 / person. 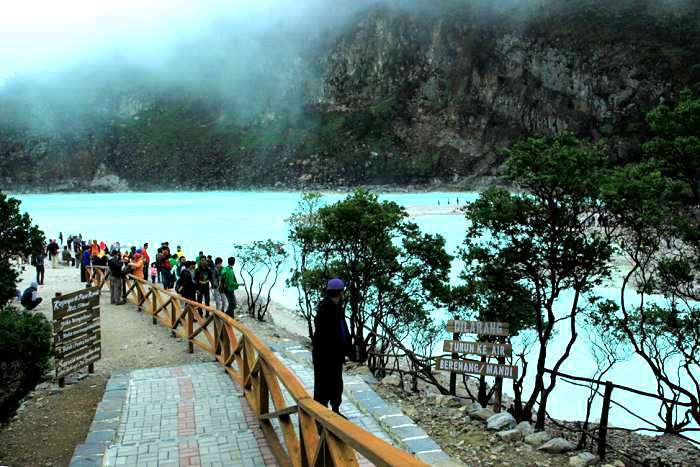 White Crater Ciwidey is located in the highlands of a mountainous region located approximately 2,400 dpml. Because this place in in high plateau, it makes the temperature in the crater is very cold. Average temperature in this place is 8 to 22 degrees Celsius. Because of its beauty and romance is very charming, the crater is often used as background photography, movies, painting, and also pre wedding. One example of a movie use this place as background is the movie “Heart” played by Irwansyah, Acha Septriasa, and Nirina Zubir. Not only as a place of romance, but the white crater also make more challenging activities such as hiking and horseback riding. 07.00 a.m. – 17.00 p.m. This is a place Hot Spring Walini. This is a place for tourists who want to pamper their body by bathing in the warm water. 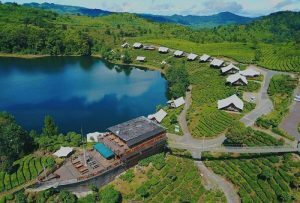 This could be an interesting place to visit because it is located at the foot of the mountain Patuha or Ciwidey Walini tea plantations where the air is still very cool. The swimming pool is visited by tourists from different cities because of the warm water in the pool comes from mountain springs Patuha. 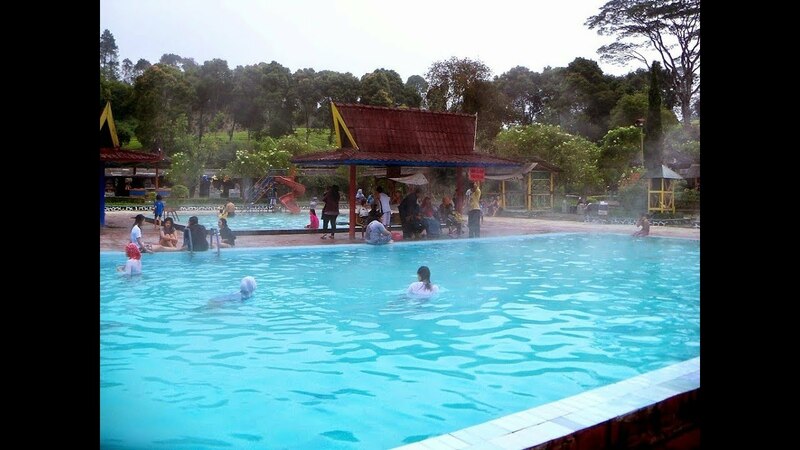 In this place also provide various other facilities such as waterboom, a center for rest, showers, restaurant and more. With this facility, it is expected the visitors could be more comfortable and feel at home in this tourist spot. That’s all the things to do in South Bandung Indonesia, we hope you enjoy Indonesia from every beat!